A trip to Andalusia won’t be complete if you don’t devote enough time to the best things to do in Granada. Sun-soaked southern Spanish city, Granada is famous for its Alhambra, and although the complex is truly stunning, it’s not the only reason that will keep you here for a couple of days. 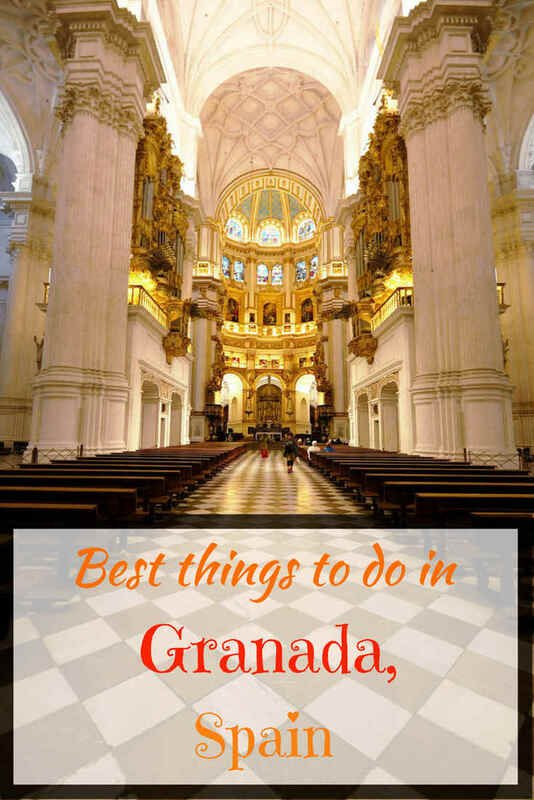 If you are wondering what to do in Granada, you’ve landed on the right page. Here you will find the best places to visit in Granada, tips on the best restaurants and where to stay. Among the first places to visit in Granada, Alhambra and Generalife occupy the very top. The residence of the Nasrid rulers between the 13th and the 15th centuries, this complex consists of walled fairytale tale palaces and a fortress. It’s really huge and very likely will take you half a day or even the whole day if you like to slowly wander around its sophisticated decorations, admire the stunning view of the Sierra Nevada and get lost in its gardens. 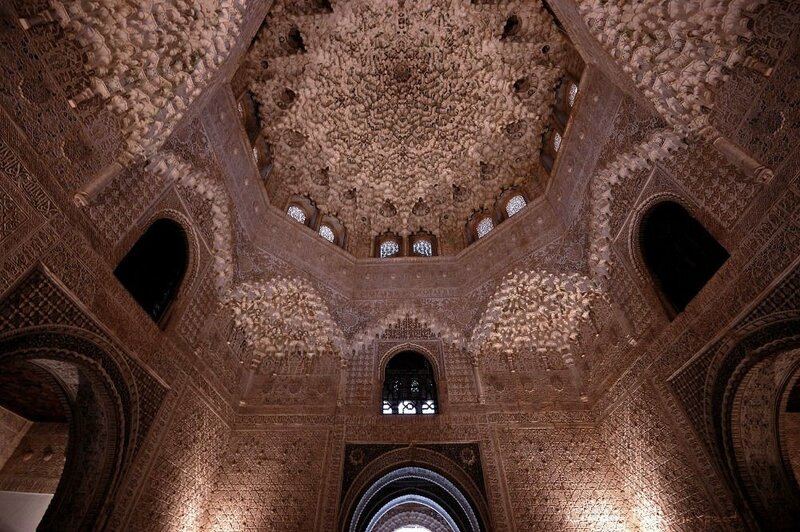 Extra tip: Book a half-day tour with a local expert to skip the line for the Alhambra and Generalife. Like most of the main sacred places in Andalucia, Granada’s Cathedral was built during the rule of Queen Isabella after the Catholic Reconquista on the site of a former mosque. Start from the majestic facade and carry on in its marvellous interior embellished with a huge altar and several chapels. A masterpiece of the local Renaissance style, the city’s main church is an absolute must if you are still wondering what to see in Granada. The burial site of the Catholic Monarchs is not inside the Cathedral but next to it, in the Royal Chapel. Its building was ordered by the same kings to be their resting place but they couldn’t see it complete, so they were buried in the convent of San Francisco de l’Alhambra and translated there in 1521 by the order of their grandchild Charles V.
Now the Royal Chapel is the resting place of notables of the likes of Ferdinand of Aragon and his wife Isabella of Castile, and Philip the Handsome and Joanna the Mad. Explore traditional villages surrounded by lush Mediterranean forests and enjoy a day immersed in nature, stunning lakes and snow-capped mountain peaks. One of the highlights of your trip, this is one of the top things to do in Granada if you are the adventurous type of traveller. Extra-tip: Book a 4WD tour to explore the secrets of the Sierra Nevada with a local. These well-preserved ancient Arab baths are one of the best things to do in Granada, especially if you are a history buff. Open only in the morning, it’s very close to the cathedral, so after visiting the city’s main church, enjoy this 11th-century Arabian spa. Miraculously escaped from the wave of destruction of the re-established Christian monarchs who considered such buildings in the same way as brothels, this is one of the great places to visit in Granada. Popular traditional dance, attend a flamenco show in Granada for some exciting nightlife. Some of the best places for flamenco in Granada are Maria La Canastera, Cuevas Los Tarantos and Venta El Gallo, all located in Sacromonte borough. Extra-tip: Book a flamenco show in the quaint Albaycin neighbourhood. Don’t miss a walk around the alleys of Granada’s old neighbourhoods Sacramento, Albaycin, Carrera del Darro and Paseo de los Tristes. Enjoy a traditional meal, delicious tapas in some of the best places, the typical architecture and also beautiful views of the Alhambra. If you are here in the evening, you can also find some of the best flamenco shows. Ask the locals, they will be happy to boast their traditions. I loved wandering the narrow alleys of Granada’s Arab souk. Located right beside Granada cathedral, it gives you the impression you are in Morocco. 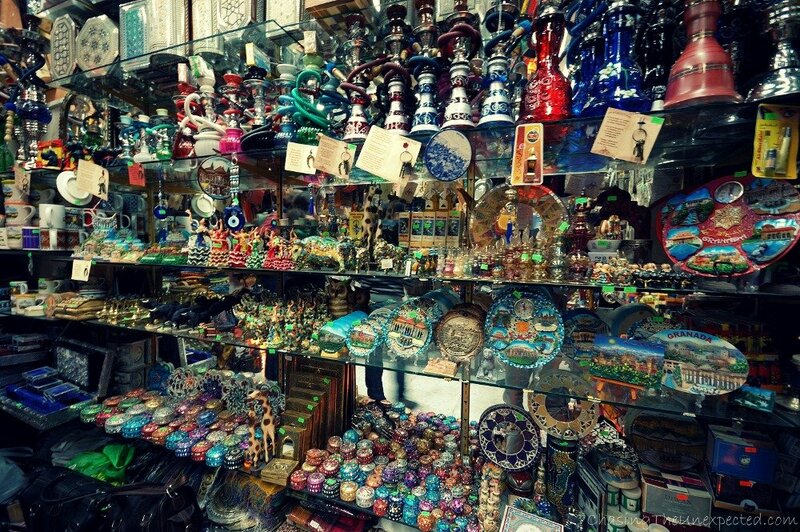 Here you can find a paraphernalia of things Arabian, from bags to hookah to colourful lamps to the pots used for Tajine, a dish typical from northern African countries. Extra-tip: Book a 2-hour tour to explore the essential must-see attractions in Granada. Feel the history of the city visiting Puerta Elvira, one of the few surviving gates within the walls that once protected the city from foreign attacks. A crucial feature of the Islamic defensive system of the city, this massive gate has seen some of the most important leaders step over its threshold, such as Muhammad Al-Ahmar I, founder of the Nasrid Dynasty, and the Catholic monarchs Queen Isabella I of Castile and King Ferdinand II of Aragon after the Reconquista of the region. Another example of locale sacred architecture, San Jeronimo Monastery is the first building of its kind to be erected after the Catholic Reconquista from the Islamic rule. Started in 1496, its sacristy is one of the best examples of Spanish Baroque style. It’s open to the public every day in the morning and in the afternoon from 4 to 7.30 pm. 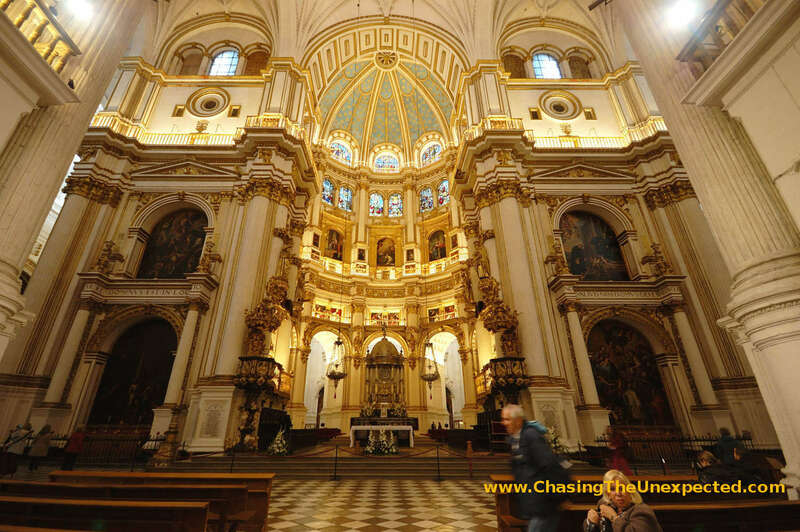 To stay in Baroque style, one of the most beautiful churches and one of the top things to do in Granada is the Basilica of Angustias. The first stone for this church was set in 1617 and both its interior, displaying statues, paintings and sophisticated decorations, and its external facade framed by two towers, are majestic. Located close to Puerta Real, it’s one of the best things to see in Granada. As a popular tourist hub in Spain, there are plenty of great hotels in Granada where you can stay to enjoy your trip, choosing the best neighborhood for your needs and preferences. Hotel Granada Center. Located in the city centre a pleasant stroll from the main tourist attractions, this is one of the favourite hotels in Granada. Guests will enjoy air-conditioned rooms, a minibar, a private bathroom and on-site restaurant and bar. Click here to read more reviews and see the price. Granada Five Senses Rooms and Suites. A stone’s throw away from the Cathedral, this is one of the best hotels in Granada for its position as well as services. Its rooms feature air conditioning, safe, working area with a desk, a private bathroom with complimentary courtesy set and hairdryer, and the suites include also a free minibar and a bathtub. Oro del Darro Suites. This fantastic accommodation option is among the favourite apartments in Granada for many reasons. One is its location, in the historic Albayzin quarter, second, its many services and amenities. The apartments have either one or two bedrooms and they all feature air conditioning, TV, living room and a well-equipped kitchen. This is one of the top-rated accommodations in Granada, worth checking it out! Apartamentos Turisticos Mauror. Another apartment option if you are still looking for where to stay in Granada. This is located close to the Cathedral, so in the city centre. This modern suites offer state-of-the-art facilities including a well-fitted kitchen, air conditioning, a flat-screen TV showing international channels, a comfortable living room and a dining table. It has the bonus of a great view of the Alhambra and it’s perfect for families. Eurostars Washington Irving. If you’d rather choose a hotel in Granada instead, this is a great option. The rooms boast luxury amenities such as free WiFi, air conditioning, tea and coffee making equipment, and a comfortable private bathroom, and guests will enjoy also a swimming pool, a coffee bar, a terrace and sauna facilities. Andalucia has some pretty delicious dishes and tapas, and just like Seville, Granada won’t disappoint you. The service at Los Jardines de Zoraya includes both a taste of Spanish cuisine and a flamenco show. Its location in the historic Albayzin quarter is a plus. If you want to sample some Moorish flavours, try Mirador de Morayma, a restaurant set in a traditional house in the historic Albayzin neighbourhood. A view of the Alhambra completes the scene for a lovely meal. For Moroccan food, try Tajine Elvira, while for some good tapas, check out Taberna La Tana, Los Diamantes, and Bar Avila. Exploring Veio, Rome's "last big enemy"
It was very nice atmosphere, very exotic in the heart of Europe! I had no idea the souks in Granada were this elaborate! I love the richness of the colors. 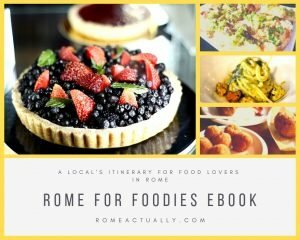 I think I’m pinning this to my Pinterest travel board! It was very Arab-style, reminding of past Moorish presence. J’ai été à Grenade mai hélas trop peu de temps pour voir le marché. Dommage!